Ian Telfer is chairman of Goldcorp. From a corner office on the 34th floor of Park Place in downtown Vancouver, with sweeping views of the Strait of Georgia and the North Shore, the guy who squeaked into business school runs a multibillion-dollar gold mining empire. It’s a dichotomy that doesn’t faze Goldcorp Chairman Ian Telfer, whose financial success arrived relatively late in life. “You are very appreciative and you understand how circumstantial success is, and how it can happen or it can’t,” Telfer said in a recent interview. “People always say, ‘You make your own luck.’ Yeah, well, you sort of do..
“Over a period of 10 weeks to begin the year, the Comex bullion banks were able to limit the rally to only 15% by supplying the “market” with 95,000 brand new naked short contracts. That’s 9.5MM ounces of make-believe paper gold or about 295 metric tonnes. In previous columns, we have documented the heavy short-selling into light trading periods. The bullion banks do not have nearly enough gold in their possession to make deliveries to the buyers if the buyers decide to stand for delivery per the terms of the paper gold contract. The reason this scheme works is because the majority of the buyers of the contracts are speculators, not gold purchasers, and never demand delivery of the gold. Instead, they settle the contracts in cash. They are looking for short-term trading profits, not for a gold hedge against currency inflation. If a majority of the longs (the purchasers of the contracts) required delivery of the gold, the regulators would not tolerate the extent to which gold is shorted with uncovered contracts. In our opinion, the manipulation is illegal, because it is insider trading. The bullion banks that short the gold market are clearing members of the Comex/NYMEX/CME. In that role, the bullion banks have access to the computer system used to clear and settle trades, which means that the bullion banks have access to all the trading positions, including those of the hedge funds. When the hedge funds are in the deepest, the bullion banks dump naked shorts on the Comex, driving down the futures price, which triggers selling from stop-loss orders and margin calls that drive the price down further. Then the bullion banks buy the contracts at a lower price than they sold and pocket the difference, simultaneously serving the Fed by protecting the dollar from the Fed’s loose monetary policy by lowering the gold price and preventing the concern that a rising gold price would bring to the dollar. Since mid-July, nearly every night in the US the price of gold remains steady or drifts higher. This is when the eastern hemisphere markets are open and the market players are busy buying physical gold for which delivery is mandatory. But as regular as clockwork, following the close of the Asian markets, the London and New York paper gold markets open, and the price of gold is immediately taken lower as paper gold contracts flood into the market setting a negative tone for the day’s trading. Gold serves as a warning for aware people that financial and economic trouble are brewing. For instance, from the period of time just before the tech bubble collapsed (January 2000) until just before the collapse of Bear Stearns triggered the Great Financial Crisis (March 2008), gold rose in value from $250 to $1020 per ounce, or just over 400%. Moreover, in the period since the Great Financial Collapse, gold has risen 61% despite claims that the financial system was repaired. It was up as much as 225% (September 2011) before the Fed began the systematic take-down and containment of gold in order to protect the dollar from the massive creation of new dollars required by Quantitative Easing. The US economy and financial system are in worse condition than the Fed and Treasury claim and the financial media reports. Both public and private debt burdens are high. Corporations are borrowing from banks in order to buy back their own stocks. This leaves corporations with new debt but without income streams from new investments with which to service the debt. Retail stores are in trouble, including dollar store chains. The housing market is showing signs of renewed downturn. The September 16 release of the 2013 Income and Poverty report shows that real median household income has declined to the level in 1994 two decades ago and is actually lower than in the late 1960s and early 1970s. The combination of high debt and decline in real income means that there is no engine to drive the economy. In the 21st century, US debt and money creation has not been matched by an increase in real goods and services. The implication of this mismatch is inflation. 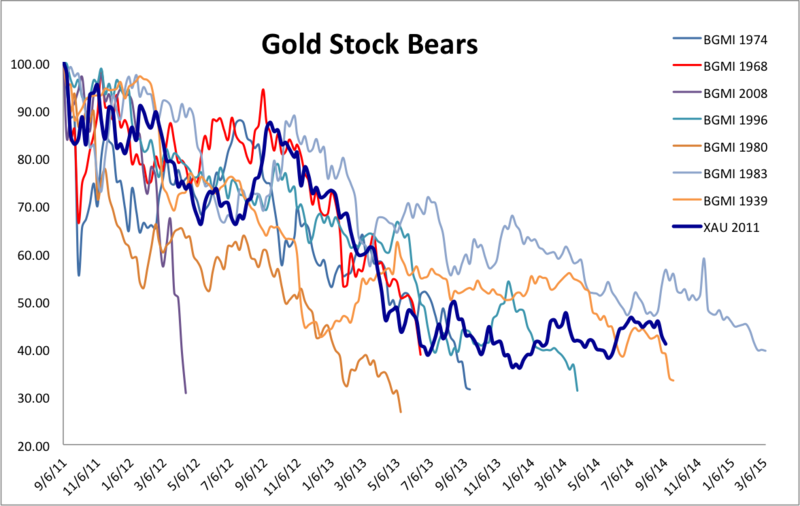 Without the price-rigging by the bullion banks, gold and silver would be reflecting these inflation expectations. The dollar is also in trouble because its role as world reserve currency is threatened by the abuse of this role in order to gain financial hegemony over others and to punish with sanctions those countries that do not comply with the goals of US foreign policy. The Wolfowitz Doctrine, which is the basis of US foreign policy, says that it is imperative for Washington to prevent the rise of other countries, such as Russia and China, that can limit the exercise of US power. Sanctions and the threat of sanctions encourage other countries to leave the dollar payments system and to abandon the petrodollar. The BRICS (Brazil, Russia, India, China, South Africa) have formed to do precisely that. Russia and China have arranged a massive long-term energy deal that avoids use of the US dollar. Both countries are settling their trade accounts with each other in their own currencies, and this practice is spreading. China is considering a gold-backed yuan, which would make the Chinese currency highly desirable as a reserve asset. It is possible that the Fed’s attack on gold is also aimed at making Chinese and Russian gold accumulation less supportive of their currencies. 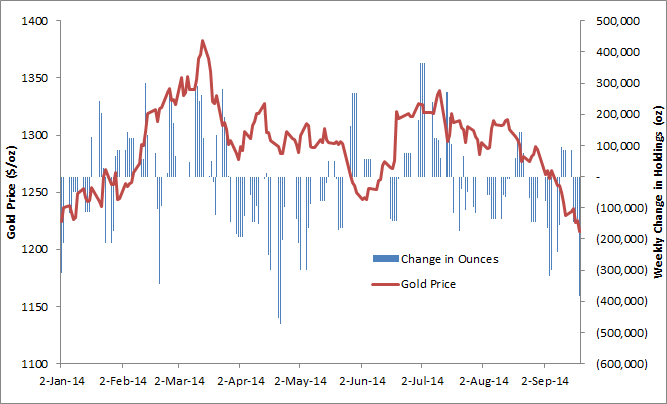 A currency linked to a falling gold price is not the same as a currency linked to a rising gold price. It is unclear whether the new Chinese gold exchange in Shanghai will displace the London and New York futures markets. Naked short-selling is not permitted in the Chinese gold exchange. The world could end up with two gold futures markets: one based on assessments of reality, and the other based on gambling and price-rigging. The future will also determine whether the role of reserve currency has been overtaken by time. The US dollar took that role in the aftermath of World War II, a time when the US had the only industrial economy that had not been destroyed in the war. A stable means of settling international accounts was needed. Today there are many economies that have tradable currencies, and accounts can be settled between countries in their own currencies. There is no longer a need for a single reserve currency. As this realization spreads, pressure on the dollar’s value will intensify. For a period the Federal Reserve can support the dollar’s exchange value by pressuring Japan and the European Central Bank to print their currencies with which to support the dollar with purchases in the foreign exchange market. Other countries, such as Switzerland, will print their own currencies so as not to endanger their exports by a rise in the dollar price of their exports. But eventually the large US trade deficits produced by offshoring the production of goods and services sold into US markets and the collapse of the middle class and tax base caused by jobs offshoring will destroy the value of the US dollar. New York City (Kitco News) - There is a reason to hold gold but patience is a virtue, said Frank Giustra, renowned resource investor and co-founder of the Clinton Giustra Enterprise Partnership. "All the reasons why gold went to $2,000 in the first place are still there, and in spades," he said during an interview with Kitco News’ Daniela Cambone at the Clinton Global Initiative annual meeting on Tuesday. Gold is currently stuck in a 'no one cares phase' but his views on the metal remain unchanged he said on the sidelines of the annual meeting in New York. 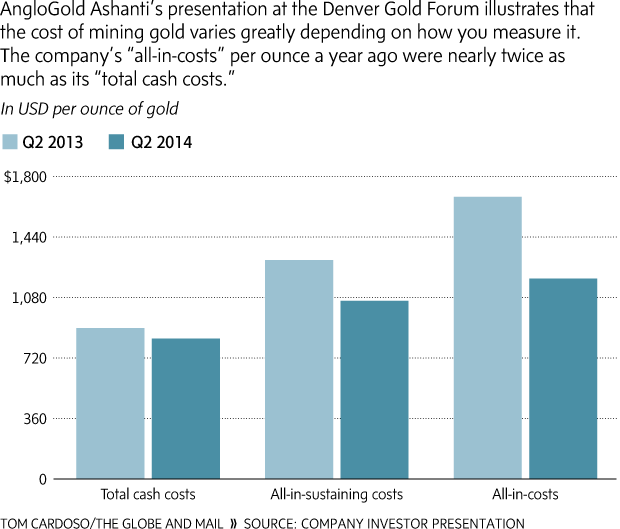 "Nothing has changed fundamentally to tell me in any way that one should divest of their gold position," he said. "I just think you have to have some gold in your portfolio because currencies are being devalued by money printing worldwide." Frank Giustra, co-founder of the Clinton Giustra Enterprise Partnership and CEO of Fiore Financial talks with Kitco News during the 10th annual Clinton Global Initiative annual meeting, in New York City. Looking ahead, Giustra, who is also the CEO of Fiore Financial, said that he does not expect to see a robust U.S. economy once the Federal Reserve ends its quantitative easing program. Last week, following the Federal Open Market Committee Meeting, Fed Chair Janet Yellen confirmed that central bank intends to end its monthly bond-purchase program in October. "I think the accommodative policy that's been in place for a number of years now is going to have to continue in some fashion, and that's always good for gold," Giustra argued. Catching the Canadian investor's attention these days are the gold mining stocks. "For many years I liked physical [gold]," he said. "But now, what's happened in the last couple of years with this very severe bear market in the mining sector is that the gold stocks are becoming much more interesting," said Giustra who also serves as an advisor for Endeavour Mining. "I think we're in the middle of a very long-term bull market in gold […] the situation hasn't improved, in many cases it's gotten much worse, so there is a reason to hold your gold.."
Lukrative Junior-Stories mit einem erstklassigen Management und hoher Qualität schaffen es auch in dieser Zeit sich zu guten Finanzierungskonditionen frisches Kapital zu beschaffen. Die kanadische Juniorfirma IDM Mining (TSX:IDM), die in British Columbia (B.C.) das hochgradige Red Mountain Goldprojekt entwickelt, gibt diese Woche die erfolgreiche Schließung der am Anfang September verkündeten Privatplatzierung bekannt. Die abgeschlossene Finanzierung war eine Kombination aus FT-Financing (Steuervorteile für Investoren aus B.C.) und einem „hard dollar“ Private Placement. Es wurden somit rund 3,1 Mio. FT-Aktien zu 0,45 CAD ausgegeben, sowie ca. 1,48 PP-Einheiten zu 0,40 CAD. Jeder Finanzierungsanteil aus der Privatplatzierung verfügt darüber hinaus wie üblich einen Warrant mit einem Strike zu 0,50 CAD über eine Dauer von zwei Jahren. Das entspricht somit für IDM Mining einer aggregierten Finanzierungssumme von 2 Mio. CAD und diese ist im Hinblick auf die Marktkapitalisierung von weniger als 15 Mio. CAD inkl. den sehr anspruchsvollen Marktverhältnissen absolut ansehnlich. Zudem sollte man sich vor Augen führen, dass IDM’s Aktienkurs Ende April noch bei weniger als 0,20 CAD stand und so wurde die jüngste Finanzierung auf einem sehr guten und folgend verwässerungsschonenden Aktienkurs-Niveau erfolgreich durchgeführt. Auch hier spiegelt sich die exzellente Arbeit des Head Managements wider, das über ein sehr starkes Kontaktnetzwerk in Nordamerika verfügt, was für eine Juniorfirma stets von großer Relevanz und Bedeutung ist. Wie die Junior-Firma außerdem bekannt gab, wird es aufgrund der hohen Nachfrage nach PP-Aktien und dem Interesse von Investoren eine weitere Privatplatzierung von bis zu 1,5 Mio. Firmenaktien geben. Diese sollen laut des Managements zum Großteil von Insidern übernommen wurden, was eine sehr gute und vertrauensvolle Nachricht ist. Nachhaltiges Engagement von den Verantwortlichen wird im Junior-Sektor immer gerne gesehen und ist eine Bestätigung für die Überzeugung in den zukünftigen Story-Werdegang. 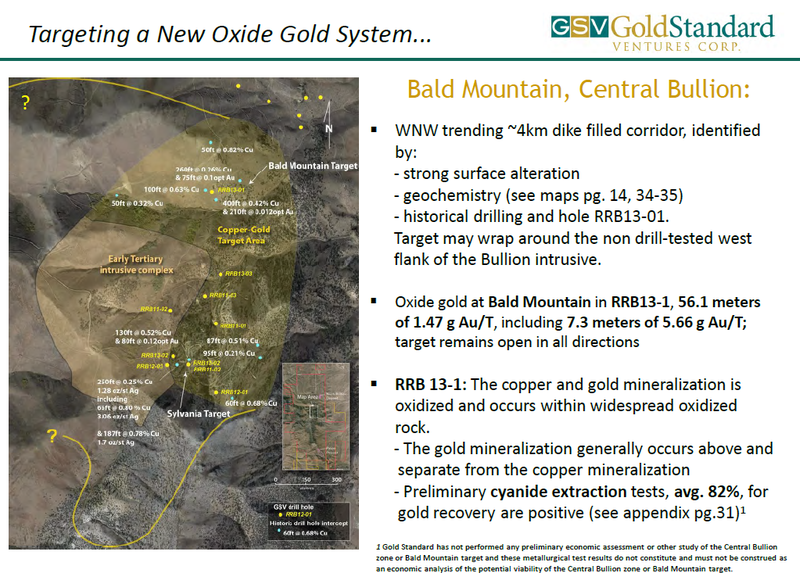 Das frische Kapital soll primär für die Exploration und Entwicklung des Flaggschiff-Projekts Red Mountain Gold verwendet werden, für das IDM im Frühsommer eine positive Vor-Machbarkeitsschätzung (PEA) vorlegte und nun die hochgradige Gold-Ressourcen erweitern will. IDM Mining legte in den News um die Finanzierung dann auch noch eine gute Nachricht von der Explorationsfront vor. Der Junior-Firma ist die Discovery von drei neuen Zonen mit hochgradigen Gold-Mineralisierungen gelungen. 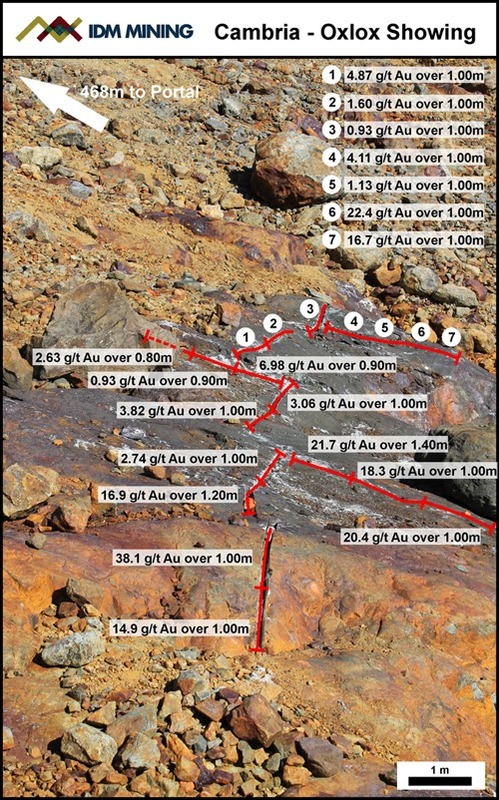 Eight of 10 grab and channel samples assayed greater than one g/t Au, up to 11.4 g/t at Fridge zone. 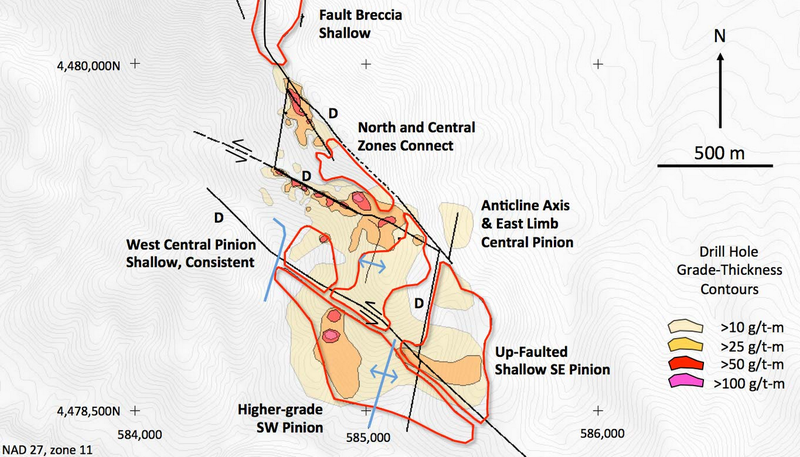 Rob McLeod, IDM Mining’s Präsident und CEO, kommentierte die letzten, positiven Entwicklungen und freut sich auf die nächsten Ergebnisse: "The discovery of high-grade outcropping sulphides 500 metres to the east and on strike from the Marc zone resource is encouraging. 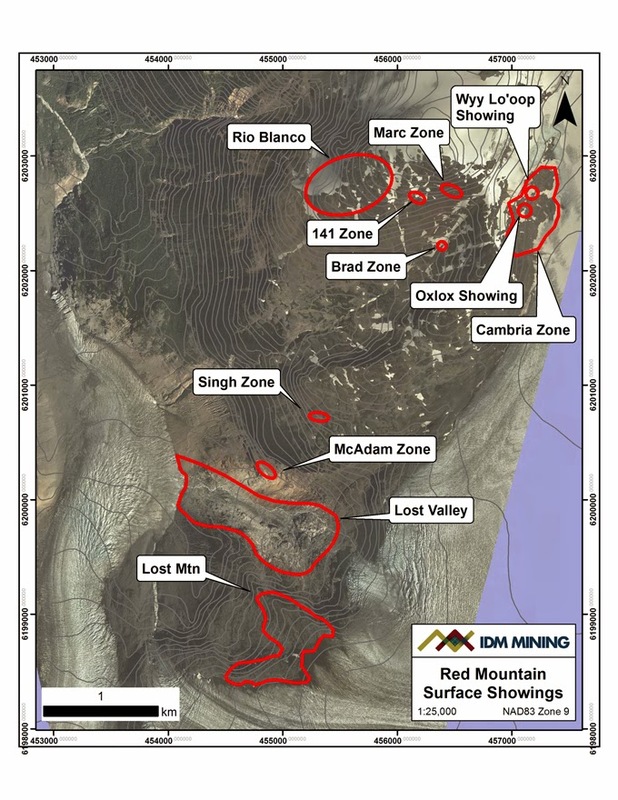 We look forward to drilling the initial holes at the Wyy Lo'oop and Uxlox discoveries at the Cambria zone during the next couple of weeks." IDM hat die nächste Bohrphase vor kurzer Zeit bereits gestartet und so werden viele Neuigkeiten in den nächsten Monaten erwartet. Der Fahrplan siehe unten verspricht eine spannende Zeit. Trotz sehr anspruchsvoller Marktlage im Junior- und Goldminen-Sektor kommt die junge kanadische Story IDM Mining sehr gut voran und erhöht dadurch ihre Attraktivität..
Gold Standard Ventures (TSX-V:GSV, AMEX:GSV, ISIN: CA3807381049) gab heute offiziell den aktiven Start des zweiten Reverse-Circulations-Bohrgeräts (RC Drilling rig) auf dem fokussierten Pinion-Railroad-Projekts im US-Bundesstaat Nevada bekannt. 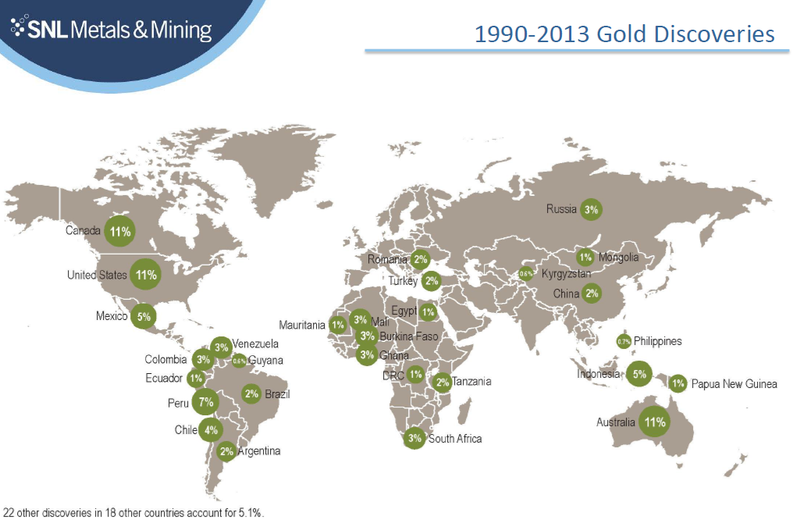 Das Hauptprojekt befindet sich in einer prominenten Minenregion im Herzen des Carlin Gold Trends, der auch die wichtigste Förderregion für die zwei weltgrößten Goldproduzenten Barrick Gold (NYE:ABX) und Newmont Mining (NYE:NEM) darstellt. Zwei Bohrgeräte sind von nun mit Volldampf aktiv. Aufgrund der oberflächennahen Gold-Mineralisierungen um dem Fokus auf Goldzonen mit oxidischem Erz ist Gold Standard in der Lage, durch relativ kostenschonende RC-Bohrungen (vgl. erheblich teurere Diamanten-Bohrungen) signifikante Fortschritte an der Explorations- und Bohrfront zu erreichen. Die Kapitaleffizienz ist für die Juniorfirma demnach wesentlich höher. Das aktuelle Bohrprogramm sieht zwei Ziele vor. Zum einen soll das identifizierte Pinion Gold-Vorkommen, das bereits eine Ressource von rund 1,5 Mio. Goldunzen umfasst, erweitert werden. Die Chancen stehen hierfür sehr gut, denn das Geologenteam hat bereits im letzten Bohrprogramm erfolgreiche Expansions-Bohrungen erzielt. Zum anderen zielt das laufende Arbeitsprogramm auf die Erweiterung eines weiteren, attraktiven Bohrziels ab: Der Projektbereich von Bald Mountain hat bereits gezeigt, dass hier interessante Gold- und Kupfer-Mineralisierungen auftreten, die möglicherweise erweitert werden können. Auch auf Bald Mountain ist es Gold Standard erfolgreich gelungen, das Auftreten von lukrativem Oxid-Gold zu bestätigen. Die soliden Fortschritte und laufenden Aktivitäten führen dazu, dass einige Analysten ihre Kursziele bei Gold Standard nicht nur bestätigen, sondern sogar stark erhöhen. Auf dem aktuellen Aktienkursniveau keine Verwunderung. Die Gold Standard Aktien notierte im Hoch mal bei knapp 3 kanadischen Dollar und kann gerade zu rund 0,70 CAD erworben werden. Weiter wurde nochmals ausdrücklich das erhebliche Übernahmepotential der Juniorfirma herausgearbeitet. Die neusten Kommentare und Analysen von Rockstone Research können Sie hier einlesen: http://www.more-ir.de/d/12498.pdf. Rockstone’s Kursziel bleibt unverändert bei 2,82 EUR. Informative Übersicht, analysiert und bereitgestellt von SNL Metals & Mining. Aktuelles Update mit dem Philadelphia Gold & Silver Index (XAU) als passende Benchmark - angefertigt bereitgestellt von Jordan Roy-Byrne (The Daily Gold). Besonders aussichtsreiche und substanzstarke Junior-Stories erhalten auch in dieser enorm schwierigen Marktphase Kapital. Sehr spannende News bei Columbus Gold (TSX-V:CGT). Ein überzeugter und wohlhabender Investor aus den Vereinigten Staaten hat sich mit einer Millionen-Summe (> 5,3 Mio. CAD) eingekauft und hält jetzt rund 10% am Unternehmen. Es war meines Erachtens genau der richtige Schritt von Columbus, die ursprüngliche Finanzierung zu verringern und nun einen Insider-Deal mit einem starken Investor vorzuziehen. So wandern die neuen Aktien in starke Hände (laut des CEOs Robert Giustra "ein besonnener Langfrist-Anleger") und Columbus erhält das Geld ohne neue Warrants ausgeben zu müssen. Mit der frischen und für diese Marktverhältnisse definitiv beachtlichen Geldspritze kann auf dem fokussierten Gold/Silber-Projekt in Nevada (Eastside) jetzt ein intensives Bohr- und Explorations-Programm gestartet werden. Parallel werden die Entwicklungen auf dem Flaggschiff Paul Isnard in Französisch Guyana mit dem Projektpartner Nordgold (LSE:NORD) vorangetrieben. So wird der Newsflow in den nächsten Monaten gewiss nicht abreißen..
Der Aktienkurs explodiert heute und legte binnen 24h um über 20% zu, das Handelsvolumen in den letzten Tagen ist eindrucksvoll. Bei Gold-Explorer Columbus Gold (TSX-V:CGT) hält der starke Newsflow an. Die Explorationsprogramme auf dem Hauptprojekt Paul Isnard, die zu 100% von Projekt-Partner Nordgold (LSE:NORD) finanziert werden, laufen jetzt planmäßig auf Hochtouren: 3 Bohrgeräte sind nun voll aktiv.. Die Investmentnachfrage im wichtigsten Gold-ETF der Welt (GLD) erreicht einen neuen Mehrjahres-Tiefstand. "Die Nachfrage nach dem amerikanischen an der NYSE gelisteten Gold-ETF "GLD" ist auf den tiefsten Stand seit 5 1/2 Jahren gesunken. Zuletzt wurden zur Besicherung der verwalteten Vermögenseinlagen in den ETF nur noch 776,44 Tonnen Gold gehalten, das sind 7.78 Tonnen weniger als vergangene Woche. Die Rücknahmen in dem ETF erreichen den höchsten Stand seit April, schreibt Barclays. Seit Jahresbeginn wurden mehr als 18 Tonnen Gold aus dem ETF abgezogen. Der aktuelle Stand ist der tiefste seit dem 26. Dezember 2008." 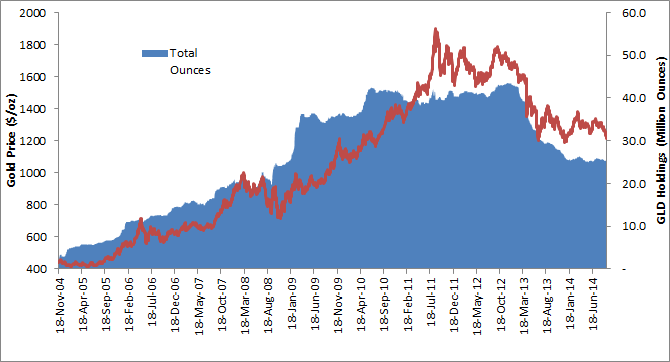 GLD total gold holdings (ounces) and the gold price are highly correlated. Recent liquidations have reduced total holdings to 25 million ounces. Regression analysis indicates the gold price could drop to $1,000/oz, or, GLD holdings will pick up to 31 million ounces. 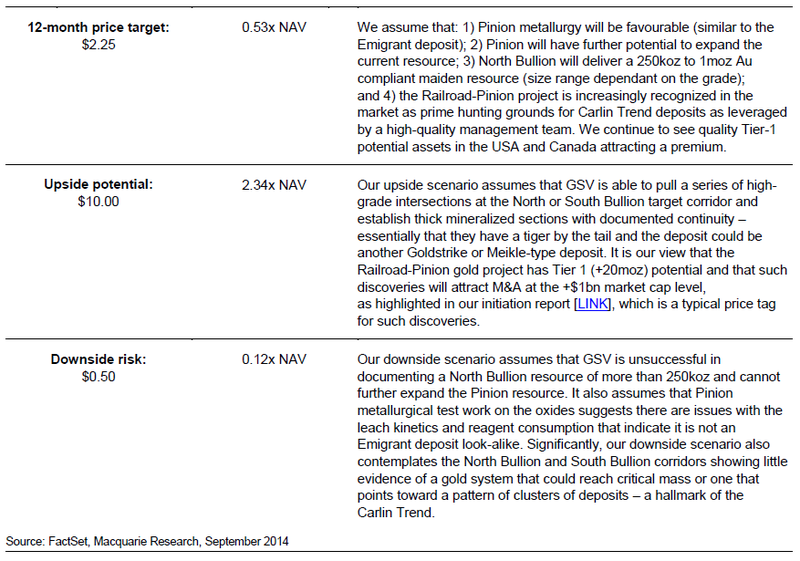 Gold price and GLD holdings are "reflexive" in nature, in that they influence each other. The dependent vs. independent variable is not entirely clear..
BHP Billiton (NYSE:BHP) and Mitsubishi say they plan to cut ~700 jobs from their joint Australian coal mining operations in central Queensland state, continuing a cost-cutting drive that has been going on for more than 18 months. Coking coal prices are near their lowest levels in seven years as rising supplies of the commodity have outpaced demand; this year alone, prices have fallen more than 20%. Die allwissenden und allmächtigen Goldmänner und ihr jüngstes Statement zur schwer getroffenen Eisenerz-Industrie - natürlich kommt die neue Schock-Prognose wie so oft nach einem schweren Ausverkauf..
Über der Marke von 1.240 USD/Oz auf SK-Basis werden die Shorties an der COMEX erste Probleme bekommen. Wie so oft könnte es ganz schnell gehen und dann läuft das runtergeprügelte gelbe Metall wieder komplett gegen jeden Trend und jede MSM-Einschätzung. Noch darf der heutige Reversal aber rein als technischer Pullback gewertet werden (siehe auch Dollar-Schwäche als Haupttreiber bis dato). Erst oberhalb von 1.270-1.280 USD/Oz hellt sich die Situation wieder richtig auf..
Der australische Bundesgerichtshof hat die Übernahme von Papillon Resources (ASX:PIR) durch den wachstumshungrigen Goldproduzenten B2Gold (TSX:BTO) genehmigt. 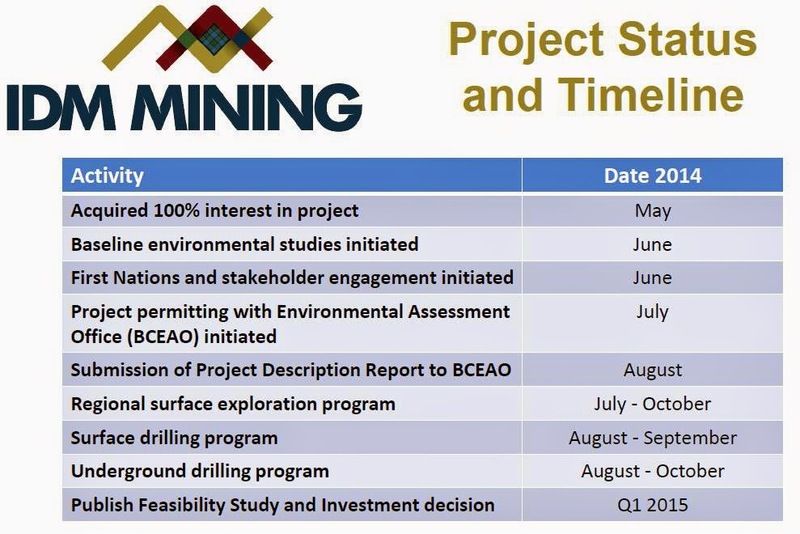 B2Gold Corp.'s scheme of arrangement transaction with Papillon Resources Ltd. received final approval of the Federal Court of Australia on Sept. 22, 2014. Under the scheme of arrangement, B2Gold will acquire all of the issued and outstanding shares of Papillon. The scheme of arrangement had been previously approved by an overwhelming majority of the Papillon shareholders at the Papillon scheme meeting held on Sept. 15, 2014. The record date for determining the holders of Papillon shares entitled to receive B2Gold shares under the scheme of arrangement is Sept. 26, 2014. B2Gold expects the scheme of arrangement to be fully implemented on Oct. 3, 2014, including the issuance of B2Gold shares to former Papillon shareholders..
Mit der Übernahme von Papillon Resources visiert der wachstumshungrige Goldproduzent B2Gold bereits die dritte M&A-Transaktion in Afrika während der letzten drei Jahre an..
For years, miners liked to talk about “cash costs,” the mine-level expenses of pulling an ounce of gold from the ground. For the most part, cash costs ran from $500 (U.S.) to $800 per ounce, depending on a miner’s properties..
Nach mehr als 15 Jahren Kosteninflation schaffen die Majors bedeutende Senkungen. Doch der Schein trügt..
Henry Bonner @ Sprott Thoughts mit den neusten und wie immer lesenswerte Zeilen von und über Frank Giustra. A few weeks ago, we heard from Pierre Lassonde of Franco-Nevada on the power of the royalty business model. Just recently, I spoke with another ‘superstar’ of the natural resource industry -- Frank Giustra. Mr. Giustra started out as an assistant trader and then became a stockbroker at Merrill Lynch in his early career. He later went on to join Yorkton Securities, where he helped launch a new branch geared towards financing resource companies in Europe. He is now an advisor to major gold miner, Endeavour Mining Corporation. As we discuss in this interview, he’s a serial entrepreneur. In the late 90’s, he founded Lionsgate Entertainment - the company behind The Hunger Games and Michael Moore’s Fahrenheit 9/11. The company had over $2 billion in revenue in 2013, and owns the rights to the hugely successful Twilight movie franchise and The Expendables series, among other big blockbuster titles. Leaving movies for another day’s topic, we went on to discuss his views on the mining sector, though he did leave me with his quick take: “Making good movies is tough -- more an art than a science. It’s easy to get sucked into bad projects by people in the movie industry. You have to be on your guard.” Probably useful to remember when looking at small-cap mining stocks too. “What’s your view, as an investor, on the resource market?” I asked. “Wow, that’s a general question,” he laughed. Luckily, he indulged me with a response: “first off, the market does look like it’s past the bottom. Second, you still have time to implement a ‘simple’ contrarian strategy -- buy real, proven, assets cheaply and wait for them to be re-priced by the market. Can you buy safely, knowing the bottom is likely behind you? What about backing exploration companies that are looking for new deposits – the early-stage exploration juniors? Mr. Giustra said the exploration stocks would be the last ones to rally in a recovery, so he was focusing on developed assets for now. When money begins to enter the resource sector, the first assets to go higher will be low-risk assets that have already been thoroughly explored and delineated. Those assets will get bought up by investors, or taken out by mining companies to get put into production. “Exploration will have its day later in the cycle, but it’s just way too early for those companies for me,” he said. What do you do after mining finance and major movie production? I asked whether there were any more major projects in the works. The last subject we touched on was the state of the dollar and bonds, and whether he had any worries about the outlook for the US economy. Geduld, Durchhaltevermögen und ein starker Fokus auf hohe Qualität inkl. starker Fundamental-Daten zahlen sich im Rohstoff- und Minensektor langfristig nahezu immer aus.. Since China fired its first 'official' shot across the Petrodollar bow a year ago, there has been an increasing groundswell of de-dollarization across the world's energy trade (despite Washington's exclamations of 'isolated' non-dollar transactors). The rise of the PetroYuan has not been far from our headlines in the last year, with China increasingly leveraging its rise as an economic power and as the most important incremental market for hydrocarbon exporters, in the Persian Gulf and the former Soviet Union, to circumscribe dollar dominance in global energy - with potentially profound ramifications for America’s strategic position. And now, as AP reports, for the first time in history, China has docked a Navy Destroyer in the Southern Iranian port of Bandar-Abbas - right across the Straits of Hormuz from 'US stronghold-for-now' Bahrain and UAE.. 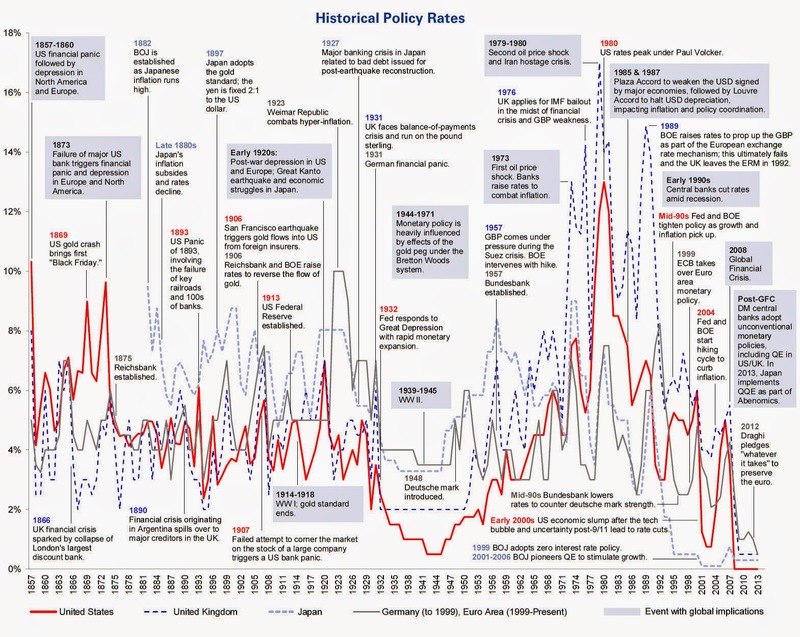 The chart below shows the key global events that have influenced monetary policy for the 4 major legacy central banks: the US, UK, Germany and Japan since the mid-19th century. Because if there is one thing to "learn" from the history of monetary policy it is that there is nothing to learn from the history of monetary policy: after all, "this time is always different" when the voodoo priests in charge of it all try to make a bubble-blowing, kneejerk-response "science" out of something that only a mother could call art..